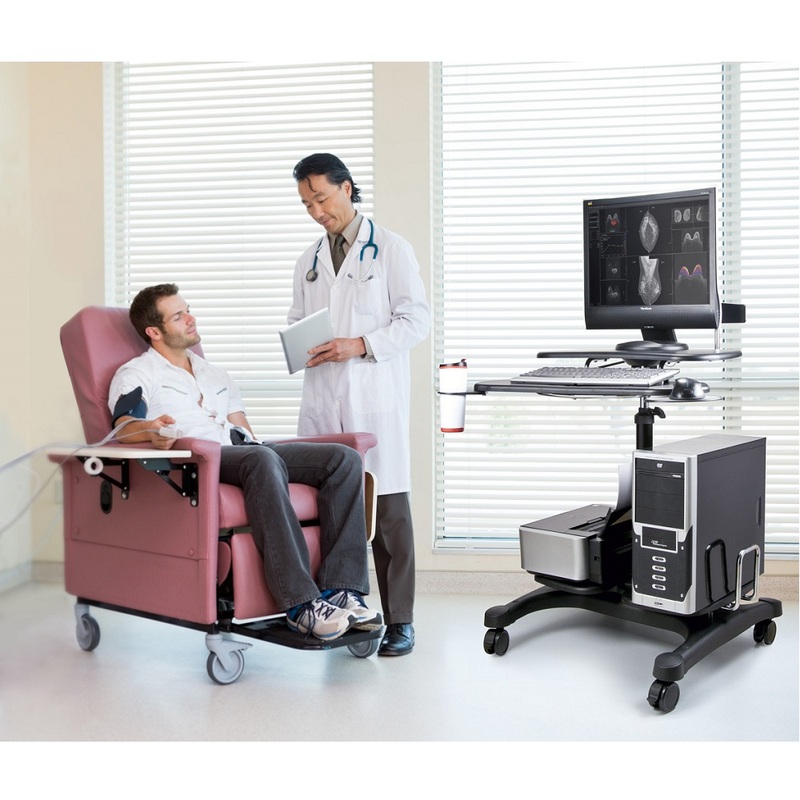 Our new Sit Stand Workstation w/ Wheels & Cable Manager is a modular system of components that when combined create a versatile range of mobile or static environment. 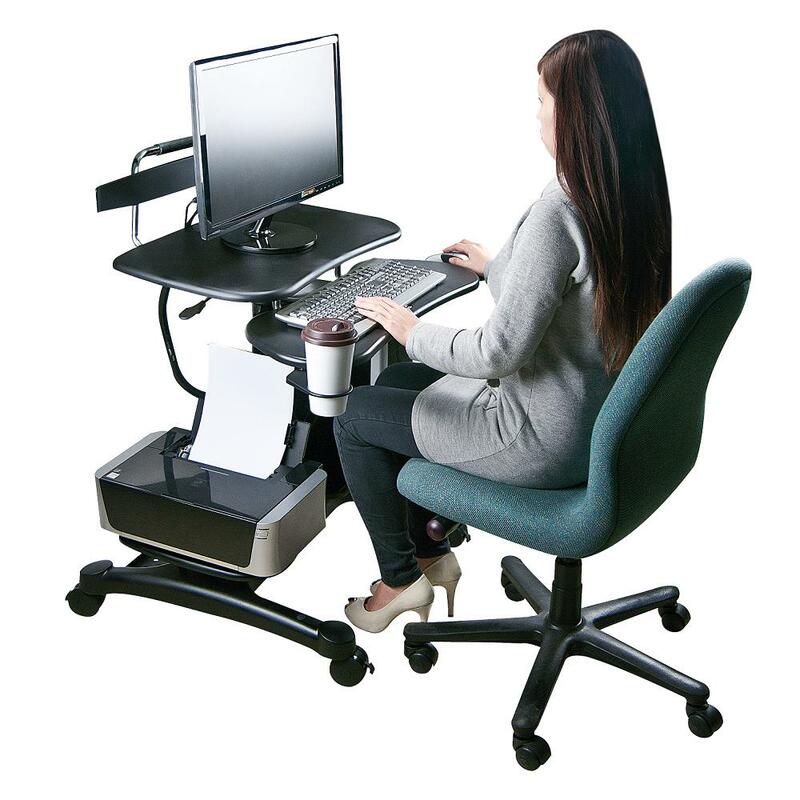 It allows you to raise and lower your work surface quickly and effortlessly to healthy sit-stand heights so you can work with more comfort. 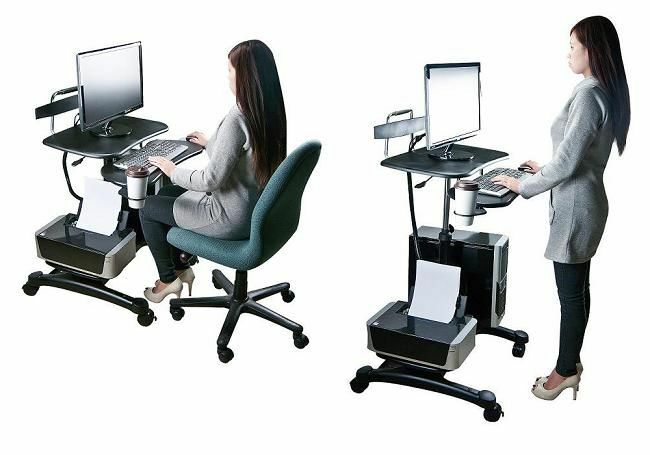 The desk provides a healthier alternative to stationary tables by encouraging users to be active and integrate movements into their days. 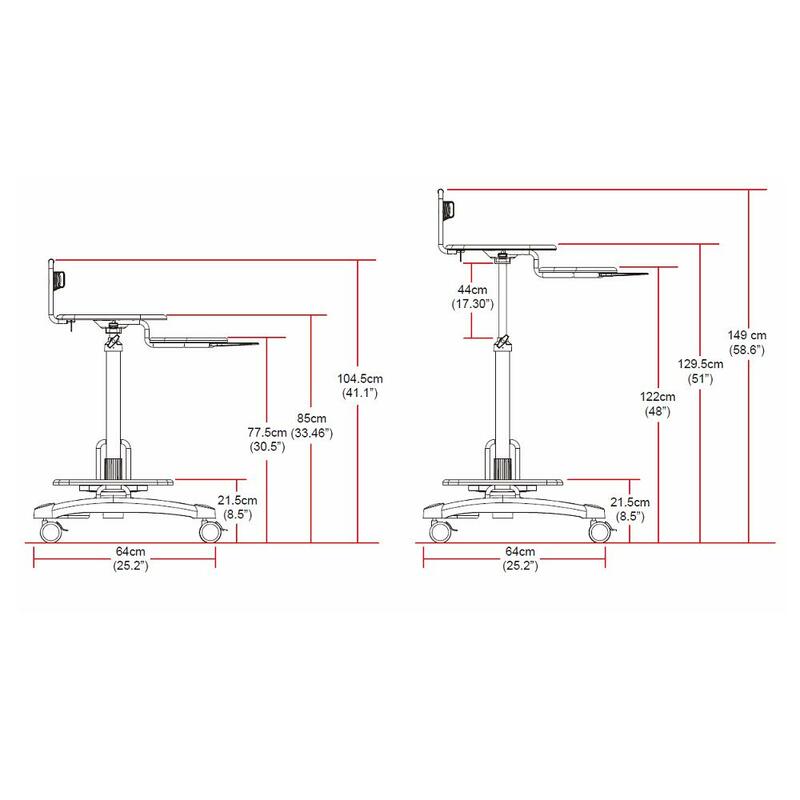 This ultra easy and smart solution ensures a healthy working environment . 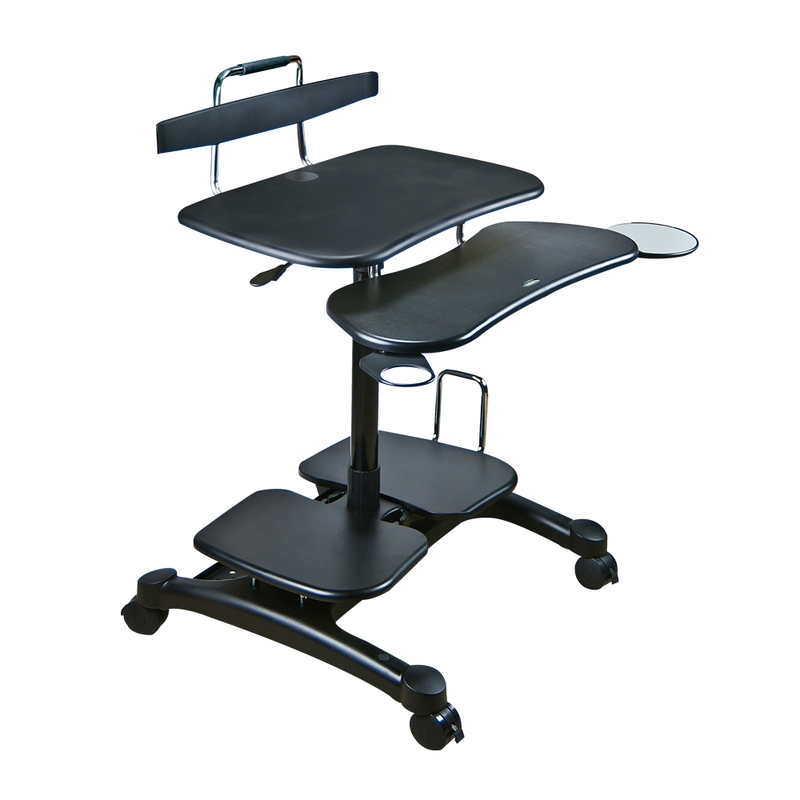 The mobile workstation is constructed of lightweight yet durable polypropylene and ABS materials. 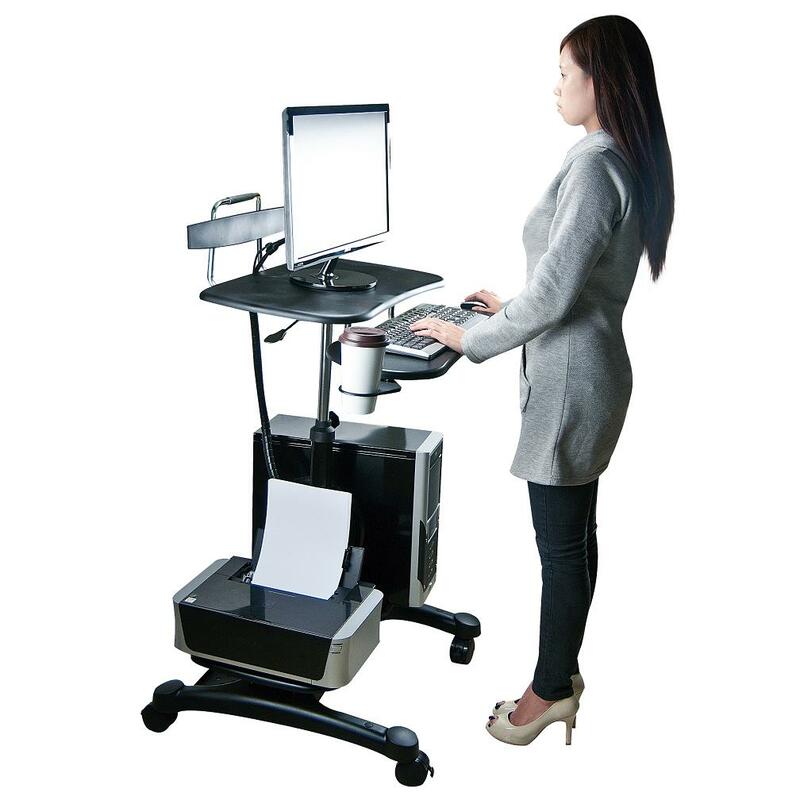 Its ergonomic, portable, space saving attributes and high-tech look make it an attractive choice in all types of businesses, office, trade-shows, mall kiosks, retail stores, factories, band, schools, hospital, internet cage and even at home. 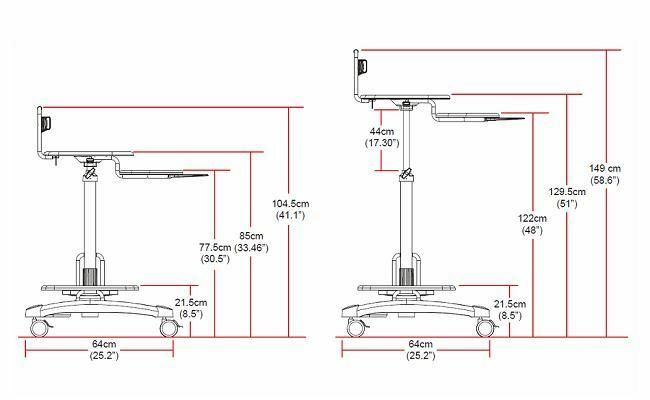 Please note that monitor, keyboard, mouse, printer and CPU are not included.